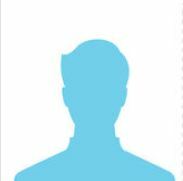 1297 - 1342 (45 years) Has more than 100 ancestors and more than 100 descendants in this family tree. Effective administrative authority during the reign of Andronikos III was wielded by his megas domestikos John Kantakouzenos , while the emperor enjoyed himself hunting or waging war. An alliance with his brother-in-law Michael Asen III of Bulgaria against Stefan Uroš III Decanski of Serbia failed to secure any gains, as the Serbians defeated the Bulgarians before the latter could join with the Byzantines in the battle of Velb ( Kyustendil ) in 1330. Andronikos III's attempt to make up for this setback by annexing Bulgarian Thrace failed in 1331, when he was defeated by the new Bulgarian emperor Ivan Alexander at Rousokastron . Peace with Bulgaria was secured through territorial concessions and a diplomatic marriage between the children of the two emperors. The subsequent years witnessed the gradual extinction of Byzantine rule in Asia Minor , as Orhan of the Ottoman Turks , who had already defeated Andronikos III at Pelekanos in 1329, took Nicaea in 1331 and Nicomedia in 1337. After that, only Philadelpheia and a handful of ports remained under Byzantine control in Asia Minor. Earlier Andronikos III had effected the recovery of Phocaea and the islands of Lesbos and Chios from Benedetto Zaccaria in 1329, but this did little to stem the Ottoman advance in Asia Minor. Under Stefan Uroš IV Dušan , Serbia expanded into Byzantine territory in Macedonia , taking Ohrid , Prilep , Kastoria , Strumica , and Voden in about 1334. The one-time governor of Thessalonica , Syrgiannes Palaeologos , had deserted to the side of the Serbians and aided their advance in to Macedonia. The Serbs, led by Syrgiannes, advanced as far as Thessalonica, but there Syrgiannes was betrayed and killed the by the Byzantine general Sphrantzes Palaiologos. This brought the Serbian army into disarray. In August of 1334 Stefan Dusan and Andronikos made peace, and the forces of Andronikos were allowed to retake control of those parts of Macedonia that Syrgiannes had captured. Despite these troubles Andronikos III secured the extension of Byzantine control over Thessaly in 1333 and Epirus in 1337, by taking advantage of succession crises in these principalities. 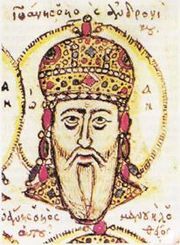 Andronikos III reorganized the Byzantine navy (consisted of 10 ships by 1332) and reformed the judicial system by forming a panel of four universal judges whom he designated "Universal Justices of the Romans". In retrospect his reign may be said to end before the situation of the Byzantine Empire became untenable. In spite of several not insignificant reverses at the hands of Bulgarians, Serbians, and Ottomans, the emperor had provided the empire with active leadership, had cooperated with able administrators, and had come closer than any of his predecessors in re-establishing Byzantine control over the Greek peninsula. The well-known Muslim traveller Ibn Battuta , who visited Constantinople towards the end of 1332, mentiones in his memoires having met Andronikos III. This is not attested in Bynantine sources. Andronikos III died aged 44 in 1341, and was succeeded by his son, John V Palaiologos . 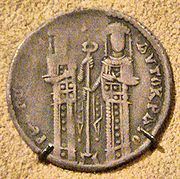 Under Andronikos the Byzantine Empire came closest to regaining a position of power in the Balkan Peninsula since the Fourth Crusade. Although an energetic campaigner, the empire during this period was just too weak to defeat its enemies in Anatolia, Bulgaria and Serbia. His loss of the empire's few remaining territories in Anatolia made the Ottoman Turks posed to expand into Europe as did its lack of strength following his reign to prevent the formation of the Serbian Empire. Yet none of this was due to a lack of leadership on Andronikos' part and his reign could be said to end before the Byzantine Empire's position became untenable due to the ensuing civil war which consumed the empire's remaining resources on Andronikos's death.